The Department of Public Health of North South University presented survey findings of self-assessment in a workshop held on Wednesday, 14 February, 2018 at the NGHI Conference Room. 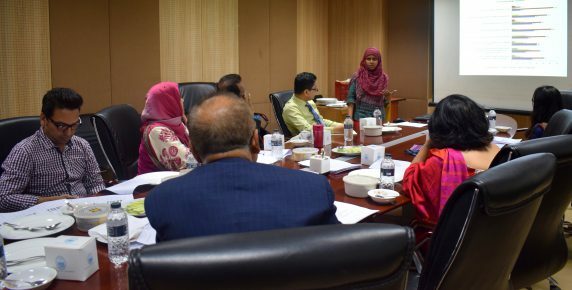 In the workshop, Ms. Sadia Chowdhury, Lecturer of the department and member of SAC discussed the most important survey findings of self-assessment. The department chair and faculty members, IQAC members and other stakeholders attended the workshop and shared their observations.